If you’re going to create good content, shouldn’t you have some basic parameters in place before doing it? If not, you’ll be writing about everything to no specific audience and the results will be less than desirable. So what’s holding you back from writing down your content strategy? My guess is you’re not sure where to start. You know that the document doesn’t have to be complicated. 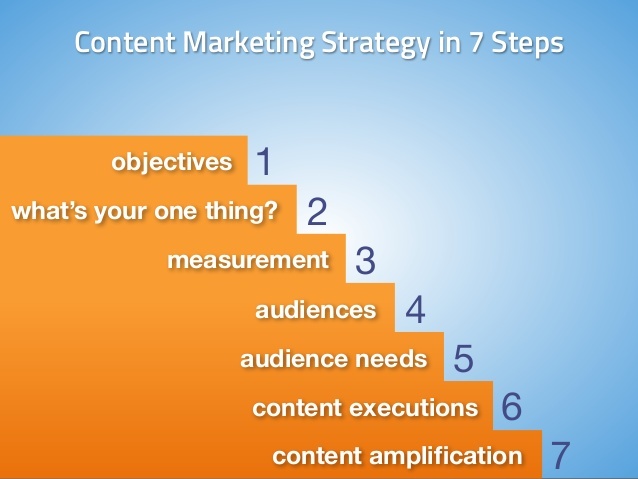 It needs to cover some basic points for you and your team to focus on when creating content. It’s also good to share with the rest of the team so everyone is on the same page. Objective – What are you trying to accomplish? Deliver leads, create awareness? What makes you different – You need something that’s going to set you apart. What is it? Metrics – How are you going to determine the success or failure of your efforts if you don’t define a way to measure it? Define your audience – Who do you want to talk to and why? Audience needs – Do some research to find out what their needs are. Content execution – What are you going to write about and when? Where do they get their info as you want to deliver it there instead of them having to go look for it. Content promotion – Once it’s written, use social media to create a bigger buzz.